VB-1X sprayable vibration dampin compound saves time and money! VB-1X is a water based, sprayable vibration damping compound that has been engineered to damp vibration by converting it into low level heat. How does it do this? VB-1X is loaded with silica-mica and ceramic components that creates friction when vibration occurs. 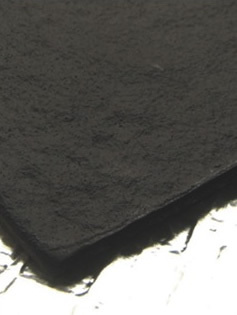 VB-1X is commonly used on the inside of outer body panels including the floor pan. 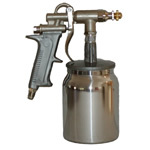 One benefit of using this product is that it allows you to cover large surface areas very quickly when using the SG-1 spray gun. When the product is wet, it is purple and as it cures it will change to black. 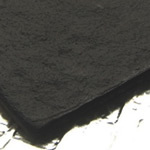 VB-1X is also frequently used to improve the performance of speaker enclosures of all types. In wood enclosures, the VB-1X will soak into the wood and seal up the pores, seams and gaps between the panels. VB-1X will also damp fiberglass and plastic enclosures extremely well. The VB-1X, when cured, creates an impedance mismatch that results in an increase in overall output by 1 to 1.5 db. 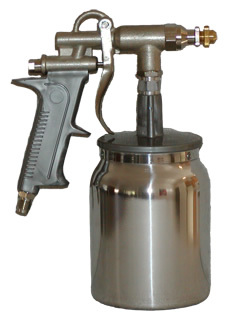 No special tools are required to install VB-1X, however the SG-1 spray gun will save a massive amount of install time. VB-1X may also be applied with a paint brush or roller. VB-1X cleans up easily with warm water. VB-1X is water resistant, not water proof. If you want to use it on exterior surfaces we strongly recommend top coating it with VB-1SPRO. Spray the inside of outer body panels with VB-1X to damp vibration, decreases energy losses and greatly improve midbass response. Apply VB-1X to the inside of speaker enclosures to seal the enclosure airtight and create an impedance mismatch when dry. This treatment canincrease the speakers output by 1 to 1.5 db.